Mount Athos is a self- governed division of the Greek state. Politically it comes under the Ministry of Foreign Affairs but religiously it comes under the Ecumenical Patriarch of Constantinople. It has been divided into twenty self- governed territories. Each territory consists of a leading monastery and some other monastic settlements around it (hermitages, cells, huts, seats). All the monasteries are communes, which means that the monks have a common liturgy, prayer, housing, board and work. The Abbot of the monastery, who is elected by the monks for life, is in charge of the monastery. Mount Athos is accessible by boat from Ouranoupolis or Ierissos. 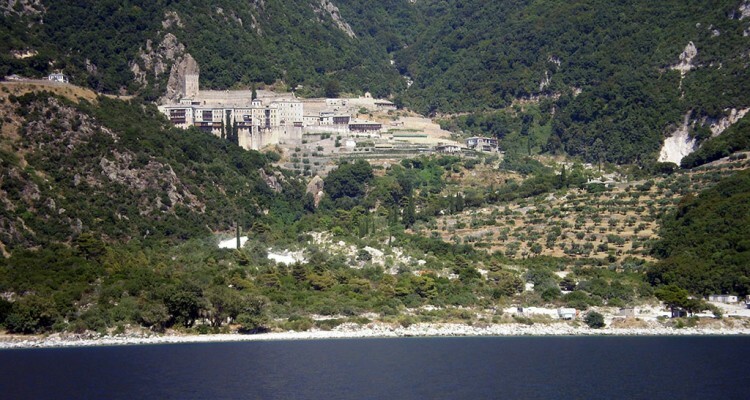 From Ouranoupolis there are daily freight and passenger boat trips at 9:45 to Daphne, the sea port of Mount Athos and to the monasteries of Zographou, Docheiariou, Xenofontos and Saint Panteleimon. 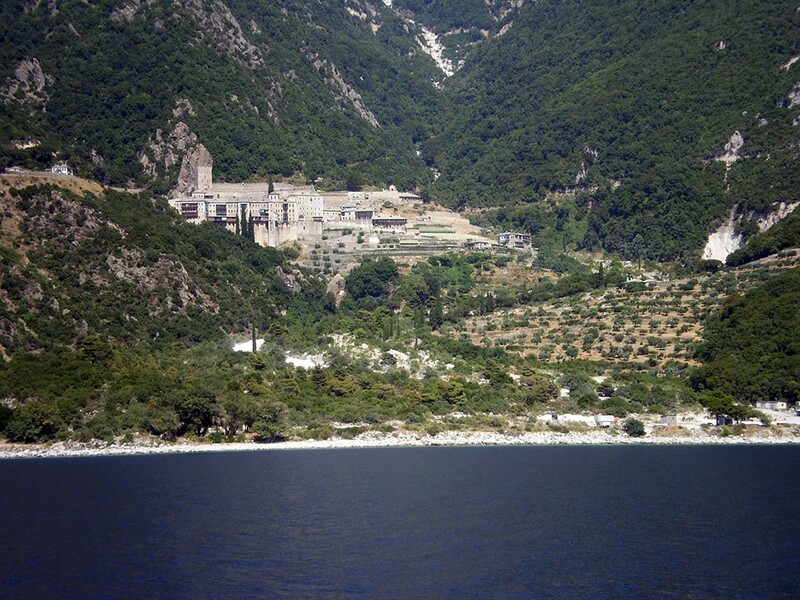 Visitors to the monasteries of Simonos Petra, Gregoriou, Dionysiou, Saint Paul and the skete of Saint Anne change boats at Daphne. Finally, for the monasteries of Esphigmenou and Vatopedi in particular, the visitor may depart from Ierissos.